There are 2 things which come to mind when we hear ‘Vatican’; one, the smallest country in the world (by area as well as by population) and the other, the powerhouse of Catholicism. But these two facts are not enough to visit the Vatican. Within the city of Rome, is housed the Vatican which has been the official residence of the pope since they returned from Avignon in 1377. Today, it is a sacerdotal monarchy headed by the pope who is the ultimate ruler of the city-state. 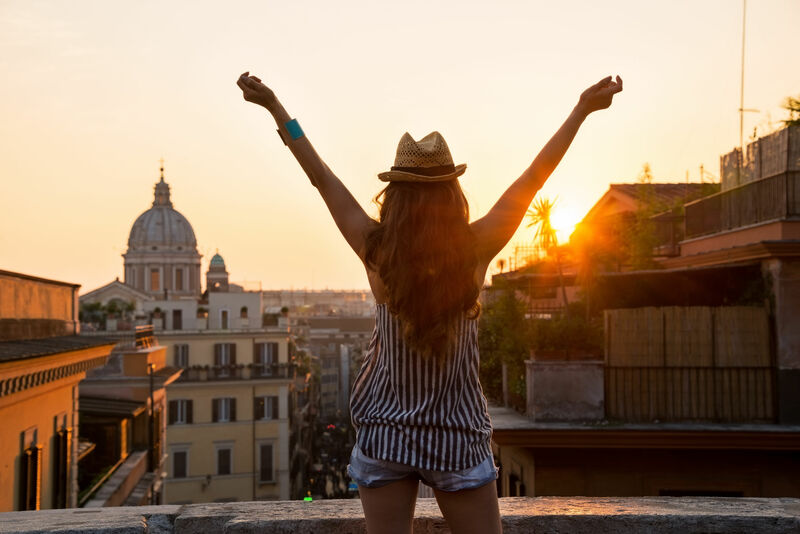 Well, as said, being a Catholicism hub and the smallest country in the world, does not only, make the Vatican worth visiting and so here are 5 places that should be on your list when you plan to visit the Vatican. 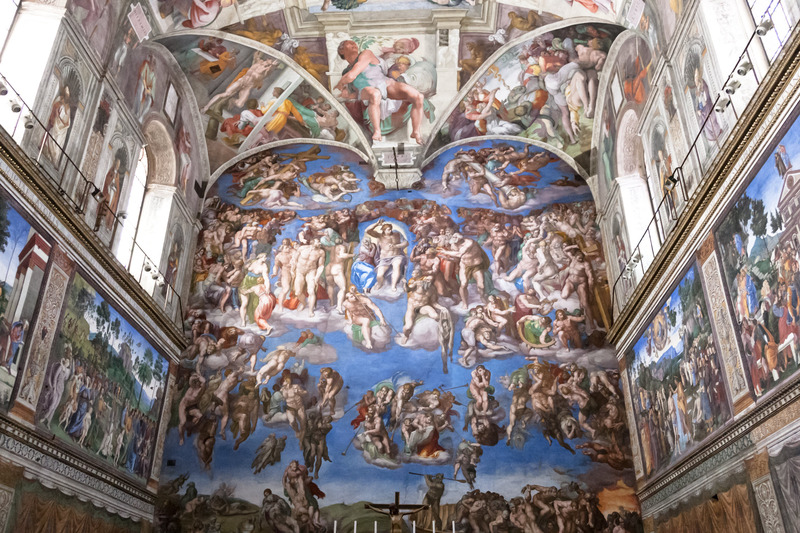 One of the most astounding works of art in the world lays here in the Sistine Chapel. A restored (of a previously standing undated chapel Cappella Maggiore that was in a precarious state) building, the chapel was built from 1473-1481 under the direction of Giovannino de Dolci for Pope Sixtus IV. It was Pope Sixtus IV after whom the chapel was named (Cappella Sistina) and is a site of the papal conclave today. The ceiling of the chapel is embellished with heart-stopping frescos by renaissance painters like Sandro Botticelli, Pietro Perugino, Cosimo Rosselli and more. 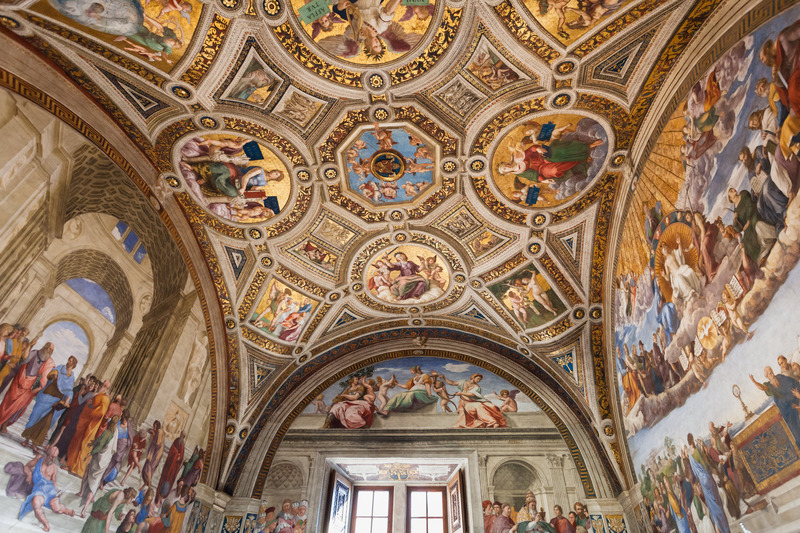 They were all appointed by Pope Sixtus IV, but what makes the chapel ceiling outstanding are the frescoes made by another painter in another time. Pope Julius II appointed the brilliant artist Michelangelo from 1508-1512 to paint the ceiling with his paintings on the Book of Genesis which eventually got etched in the time forever. Michelangelo came back in 1535 after the sack of Rome and under the patronage of Pope Clement VII, he painted the altar with- The Last Judgement. 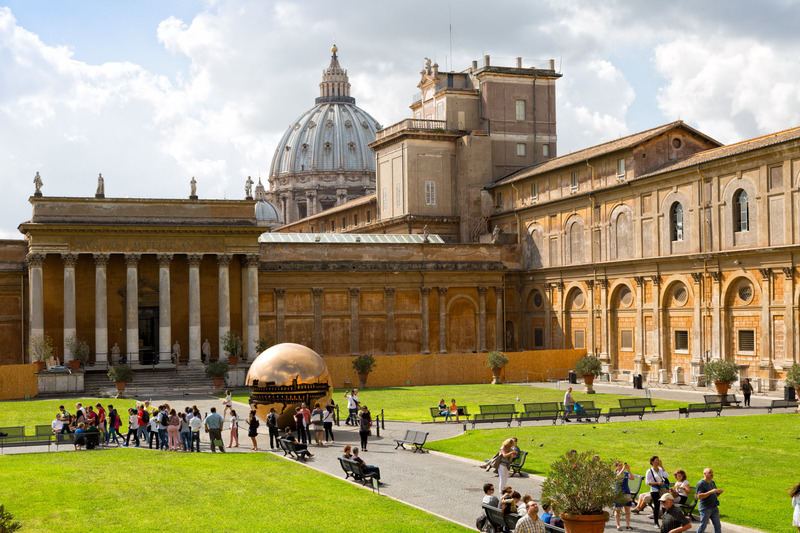 The 6 million visitors, visiting the Vatican Museums in 2017 made it the 4th most visited art museum of the world. Vatican Museums are Christian and art museums in the Vatican city with about 20000 works on display out of 70000 collected by popes over centuries. There are over 50 art galleries, courtyards, and halls which make up the museums with the famous works of Michelangelo (frescoes of the Sistine Chapel) and Raphael (Raphael Rooms). The Museums seem like the greatest collection of the Renaissance art and many other antique artefacts like Pinacoteca Vaticana– the painting gallery, Laocoon– a marvelous sculpture of a Trojan priest, Porphyry Basin– a 40 feet red stone basin housed in the Octagonal Courtyard which was Nero’s bath and many more such awe-striking, splendid piece of arts. The sheer size and the magnitude of the art that has been preserved in the Vatican Museums would make you awed for the rest of your life. Sunday closed except the last Sunday of each month. It would not be an exaggeration to call St. Peter’s Basilica, the symbol and an iconic image of the Vatican. The magnificent site from the humongous St. Peter’s Square with the Basilica in the background has been the most popular depiction of Vatican in pictures. The construction of the behemoth building began in 1506 replacing an almost 1200 years old Old St. Peter’s Basilica and was majorly designed by Michelangelo Carlo Maderno, Gian Lorenzo Bernini, and Donata Bramante. 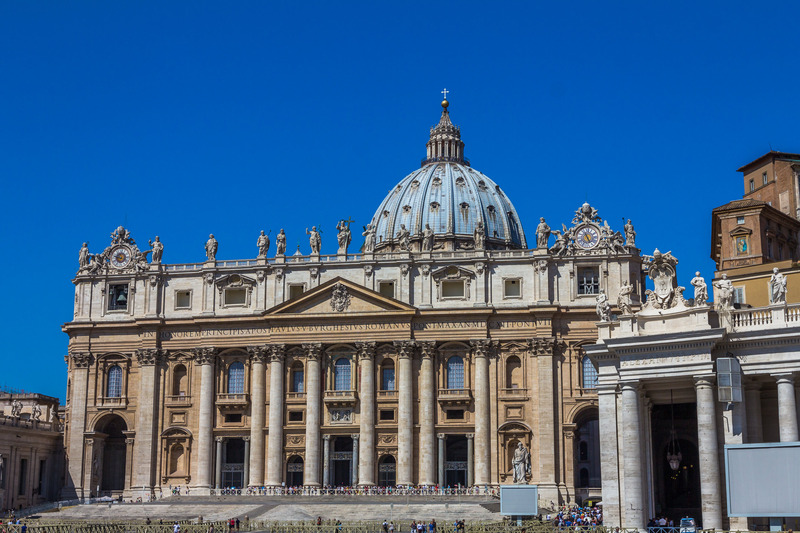 Also known as The Papal Basilica of St. Peter in the Vatican, the church is one of the largest Churches in the world and also holds a distinction of being one of the four major basilicas in the world. The renaissance architecture stands on the tomb of St. Peter’s who was the first ever pope to be martyred under the reign of Emperor Nero in 64 A.D. and is one of the world’s most visited tourist sites. The basilica covers over 22000 square meters of space and can accommodate more than 60000 people at one time. To get the best fleet for the tours to Rome from anywhere in Italy, visit us at www.benvenutolimos.com.